It was Saturday, May 12 when six students from The King's College and Dr. Robert Carle arrived in Surabaya, Indonesia. They then traveled to their destination in Jombang, which is located in East Java. A day later, the town they arrived in was attacked. "At our welcome lunch on Sunday, May 13, our hosts told us about three church bombings in Surabaya, which killed 27 people and injured 50," Dr. Carle said in his final report. No one from The King's College was near during the bombings. "Ramadan began on May 16, and we quickly surrendered to the disciplines of the season. We woke for breakfast with the call to prayer at 3:30 am," Dr. Carle explained. "We took a rest (siesta) during the torrid noonday heat, rising again to enjoy the relaxation and colors of the late afternoon, when the sun turns red and people yield to the pleasures of relief from the heat. Our hosts were unable to serve us food until sunset (at about 5:30 in the afternoon)." The students went to Indonesia to write stories for The Media Project. The Mosque-Cathedral of Cordoba lies in Cordoba, Spain. It was originally built in the eight century over an ancient Visigoth church. This site is a symbol of the Spanish-Muslim period. When Cordoba was under Muslim control, it was remembered as a place where Christians, Muslims, and Jews lived in harmony. The Mosque-Cathedral was converted from a mosque to a cathedral when the Christians conquered the city in 1236. And recently, the city of Cordoba and the Catholic Church have been arguing over the rights to this historic site. Want to learn more about the controversy? Read here. || Photo Credits: Nadja de Sa went to the Mosque-Cathedral of Cordoba on July 11, 2018. For Gabriella Kressley, this was the first time she went back to China since she was adopted. "It’s obviously a different culture, and I was expecting it, but I don’t think I quite understood how different," Kressley said. Since Kressley was raised in the United States, her mannerisms were different than the native country she was born in, she explained. "It was hard for them to understand why I was different because I looked exactly like them—I just didn’t act like it!" On the other hand, the King's students who went on the Indonesia trip took a quick stop to admire China. Alumni Audrey Cooper thought it was cool to meet other travelers at the hostel they stayed at. She also had a "great time" exploring the Great Wall of China and the Forbidden City. "One of my favorite memories was the evening we spent shopping and making dumplings with our hosts." Cooper said. || Photo Credits: First photo was taken by Gabriella Kressley at the Summer Palace in Beijing, China on May 20, 2018. The second and third photo was taken by Kressley on May 12, 2018 in Guangxi, China. (4-7) Taken by Kyle Kendrick. On May 15, the Newark Airport in New Jersey contained 40 students from The King's College who were prepared to visit the Holy Land. The tour was organized by a group called "Passages." It is a Christian Birthright organization that aims to bring young Christian leaders to Israel and educate them about the history and the geopolitics of the incredibly complicated nation. They took off for ten days and explored the country from the top of the border with Syria and Lebanon to the border of Jordan in the east. The trip to the Gaza border was cancelled due to intense situations at the border. For King's alumni ('18) Isaac Myers, seeing the Western Wall was his favorite memory. "It was so moving to see so many people earnestly worshipping and seeking God in the place where they believe they feel him the strongest," Myers said. 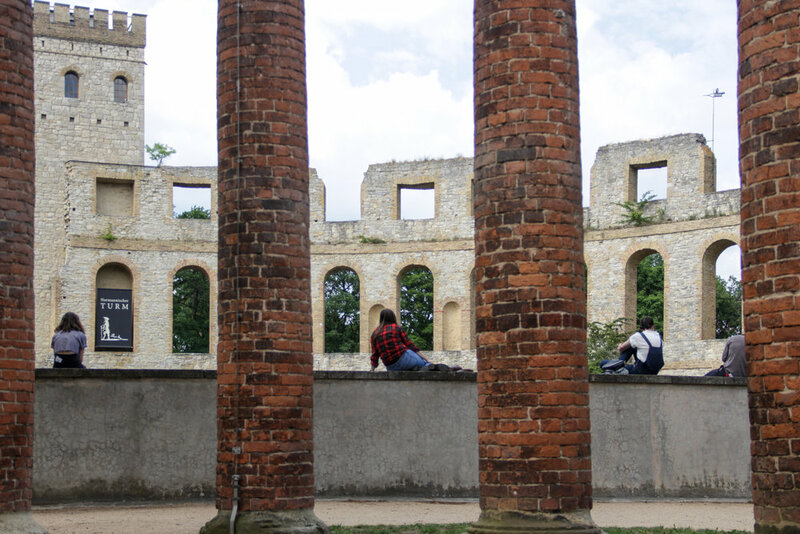 Dr. Anthony Bradley and Dr. Matthew Parks joined the students on the trip. || Photo Credits in order: Photos taken by Bernadette Berdychowski from May 15 until May 30, 2018 in Israel. France is home to croissants, public urinals, and now World Cup Champions. On July 15, 2018, the France National Team defeated Croatia four to two in one of the highest scoring World Cup final matches. Senior Anastassia Gliadkovskaya stayed in for the match while she was in Lyon, France. But she could hear the entire city "roar" as France scored each goal. "Everywhere, neighbors had hung french flags out of windows, cars, their faces painted, running and driving through the streets, hooting with happiness," Gliadlovskaya described. She remembers how the cheers didn't die down for at least another half hour. || Photo Credit: (1) Sainte-Chapelle, a gothic church containing a collection of 1113 scenes painted on stained glass windows depicting the Christian story from Genesis to Christ. Taken on July 11, 2018 by Rachel Cline. (2) Claude Monet's Garden in Giverny, Normandy, France. Taken on July 8, 2018 by Rachel Cline. (3-4) These photos were taken by Anastassia Gliadkovskaya in Annecy, France (on the Lake Annecy), on June 30. On May 12, King's student's arrived at Berlin to study modern art, theory, and criticism. The program was led by Dr. Henry Bleattler and Dr. Dan Siedell. 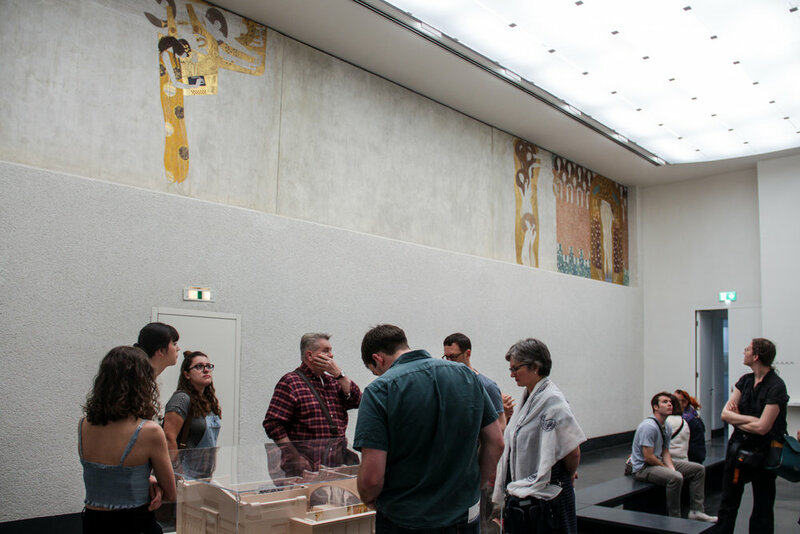 "In Berlin, students visited some of the world’s great museum collections, saw key locations involved in the rise of Prussia and its transformation into imperial Germany, and toured sites focusing on Nazi Germany, the Cold War, and the Berlin Wall," The King's College said. Students also got a chance to tour the studios of artists who call Berlin home. The second part of the Europa study abroad program was in Vienna, Austria. This city was rated by The Economist Intelligence Unit as the most livable city in the world, beating the long-time running champion: Melbourne, Australia. "In Vienna, students toured major churches like the Karlskirche, Peterskirche, and St. Stephen’s Cathedral, and historic sites like the Belvedere palaces and the Leopold Museum, one of the largest collections of Austrian art in the world," the statement said. The Europa study abroad program for the next summer has been announced. It will take place in Rome and Florence, with day trips to some of Italy's most popular cities. The dates will be announced in September. || Photo Credit: (1) The Secession Building in Vienna, Austria. Taken on May 24, 2018 by Sarah Stettheimer. (2) TKC students relax on fun yellow benches in Melk, Austria. Taken on May 30, 2018 by Sarah Stettheimer.